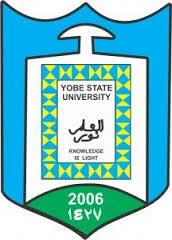 Yobe State University,YSU Direct Entry, DE First [1st], Second [2nd] and Third/Final Batch Admission List for 2018/2019 Academic Session. Download in PDF. This is to inform all candidates who applied for admission into the Yobe State University via Direct Entrt are hereby informed that the admission list for 2018/2019 session has been released. I wish to congratulate the candidates offered provisional admission in the First Batch of 2018/2019 admission exercise. However, candidates are advised to visit the jamb portal to Change of Institution and Proceed to accept the admission offered to them. 4. After following the above steps kindly proceed to collect your admission letter from the institution. See: YSU Central Registration Date, Time, Venue & Fee Payment - 2018/2019 and YSU Admission Letter Distribution Notice to Freshers - 2018/2019.